L'eggs Everyday has a high quality at an unbelievable value. 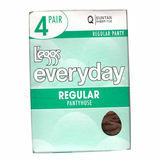 L'eggs Everyday has a complete collection of legwear styles to fit every budget. Styled to fit both your body and budget. 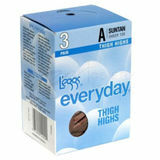 Gentle control top slims you for a smooth silhoutte under clothes. 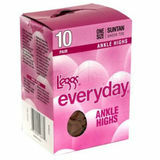 L'eggs is a legwear brand all about celebrating, inspiring and encouraging women to be the absolute best they can be. 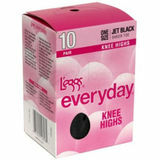 These hosiery are the most comfortable and suitable to wear all day. Go from day to night in style. Silky-sheer stretch knit conforms to ypur curves for a sleek comfortable sleek. 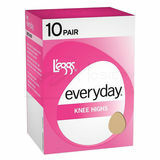 From silky sheers and casual tights to a variety of shapewear options, all the L’eggs collections shine a spotlight on an often-overlooked feature in a women’s arsenal–her legs.